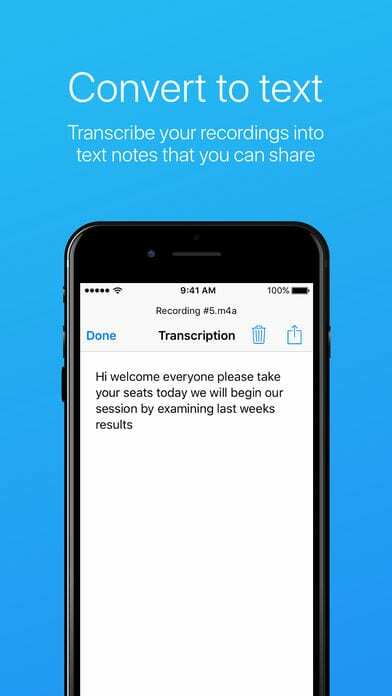 Easy Voice Recorder is an easy-to-use voice recorder for your smartphone, which allows you to record with great simplicity all your wise thoughts, notes, interviews, and lectures. Since the recording time of the conversation is limited only by the free space in the phone, you can not worry about that at the most inopportune moment the recorder will stop working. After the recording, there is an opportunity to instantly publish the sound file in social networks, cloud storage or send it by e-mail. ready-made records can be shared with friends and easily saved to your computer. support for a large number of audio formats and much more! For ease of use, the application has a set of widgets that can be installed on your smartphone’s desktop and quickly activate the recorder when necessary. Easy Voice Recorder is an excellent and very useful application for mobile smartphones that will allow you to record all the information you need anywhere and anytime. The usage of such a dictaphone is a pleasure because the interface and management are made at a high level. The quality of the recorded files is worthy of the highest praise. To be able to record the necessary materials in the formats as MP4, 3GP or WAV, you need to download Easy Voice Recorder to your smartphone. The number of settings of the application is simply impressive. You can adjust the length of the recording, the recording control indicators, and the player, as well as many others. Enjoy with pleasure!